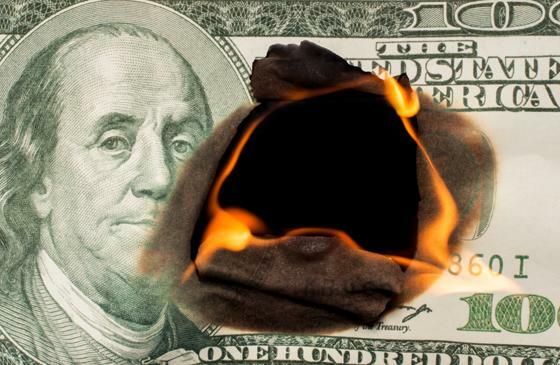 Peter Schiff: The Dollar And Americans' Standard Of Living Will Be "Biggest Casualties"
According to Schiff, the US national currency is set to meet with the worst losses along with the American standard of living. Although the Trump administration is to blame for the trade war that is already wreaking havoc on American’s wallets, Schiff says thepolitical crisis about to follow will be much worse. “But instead of addressing the problem and allowing the debt to be paid down, the Federal Reserve led us down the primrose path into much deeper debt by keeping interest rates at zero and holding them for so long. The Federal Reserve actually encouraged an overly indebted nation to borrow even more money,” Schiff said of the Fed’s terrifying response to the recession in 2008. But now, interest rate hikes are only going to destroy the economy which is barely hanging on. “So, everybody is loaded up with debt. And guess what? Interest rates are now finally rising, and that means the cost of servicing that debt is going up, and this is going [to] be a problem just like adjustable rate mortgage was a big problem in 2008, when these things were resetting,” he said. “If the government is collecting less revenue, then the deficits are getting bigger and so the government has to borrow even more money, and that becomes an even bigger problem,” he said. “What we need is smaller government, but nobody wants to shrink government, including Donald Trump, who is now the defender of Social Security and Medicare,” Schiff said.